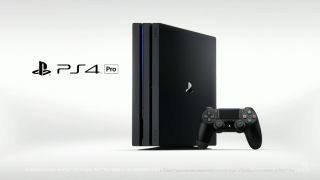 Microsoft's senior Xbox director, Albert Pinello, has told TechRadar he finds Sony's decision not to include a 4K Blu-ray drive in its first 4K console, the PS4 Pro, "surprising". Asked what he thought had driven Sony's decision to not include a physical drive, Pinello said: "I would say it's one of the more surprising decisions that they made, given their history with being on the forefront of media transitions like they have. "So I don't know, I think it's a really great question, I'm not sure." Instead of using a 4K Blu-ray drive, the PS4 Pro provides its 4K content via streaming, with an Ultra HD Netflix app already promised for the console. By comparison, Microsoft has opted to include the new drive in its Xbox One S console, although it hasn't yet confirmed if the drive will make an appearance in its upcoming Project Scorpio. Pinello's comments came in a wide-ranging interview with TechRadar, which also covered Project Scorpio and the end of the console generation. When contacted for this piece, Sony declined to comment.